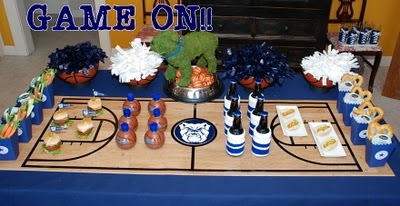 This basketball party was Bulldog specific for the final four, but switch out the colors and the mascot and it is the perfect party for any basketball lover. The entire party is a slam dunk (pun intended) and you can check it out over at Setting the Mood. Thanks Lorie!! I tried to follow your blog and I got rejected!! It said I was following the maximum amount allowable!! WHAT?? Anyway, thanks for featuring me!! 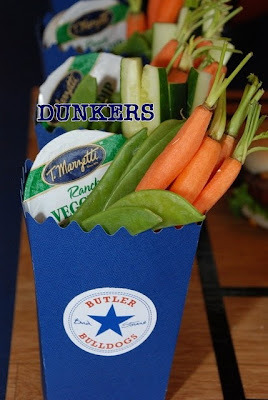 Seeing sports themed parties makes me wish we were more into those sports. We more outdoorsy people. 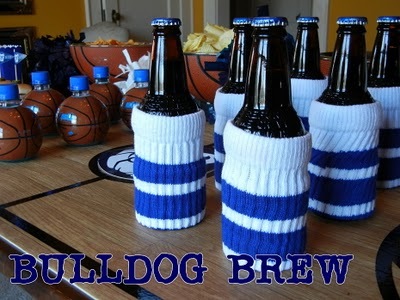 But I just may have to have a basketball party next time.